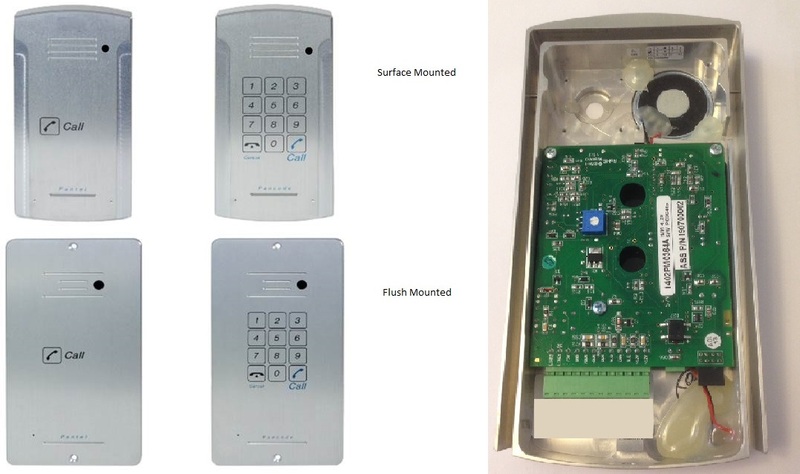 Pantel GSM Aluminium SURFACE mounted door access unit (SINGLE CALL BUTTON) allows for Visitors to speak to you via landline or mobile and you can to choose to release the door lock by entering a pin number into their telephone/mobile phone keypad. Uses a standard size UK SIM CARD and allows two way speech between the visitor and any programmed mobile, landline or PBX extension, plus the operation of any connected door release using DTMF signalling.  Ideal for remote locations.  Up to 10 programmed numbers can be reached.